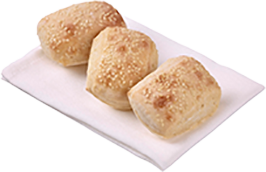 Five reasons you need to add Speedibake to your next order. Tip Top Foodservice’s popular Speedibake range has proven itself an invaluable addition to commercial kitchens, with on-trend offerings, flexible formats and simple serving options. 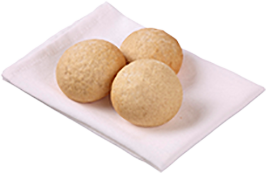 The quick to table pre-baked breads are a complete solution to foodservice needs. 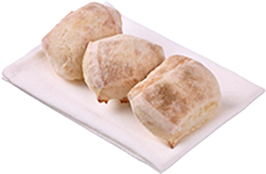 The range, which includes popular bread styles such as Turkish, ciabatta and sourdough, comes in a variety of formats suitable for gourmet lunch rolls, decadent pre-dinner antipasto, large scale catering offerings and relaxed breakfast spreads. It’s economical: Use only when needed, the products can be stored safely in the freezer for up to 12 months. It’s flexible: Thaw and serve immediately or flash-bake for only minutes to achieve a just-baked aroma. It’s versatile: Cover all meal occasions in one order: including breakfast, lunch, dinner or all day sharing. Contact your local foodservice distributor to order.